This week we read an informational text titled All That Corn in our Harcourt Trophies reading books. On Day 2 of the Harcourt Trophies plan it recommends that the teacher help students create a concept map about farms. I have been eager to use a new, web-based, mind mapping tool with my students and I saw this as the perfect opportunity. 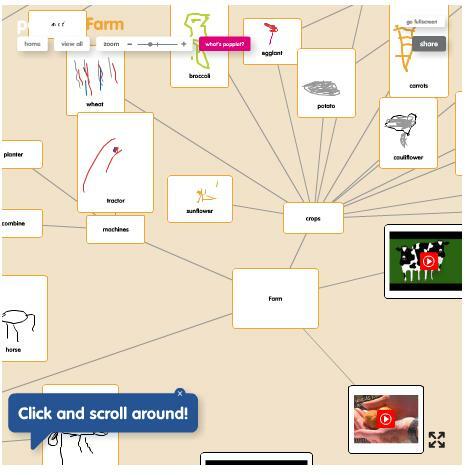 When I did my action research during my graduate studies with my PreK students, I used Kidspiration software for mind mapping. Kidspiration is a good software package, but for the purposes of this blog I want to make sure that I am showcasing applications that are free and accessible to everyone. Plus, I know there are many mind mapping tools that have come out in the past few years, so I wanted to familiarize myself with the new tools out there. The world of educational technology is ever-changing, so it is important to stay up to date! This entry was posted in Technology Integration and tagged Art, Edmodo, high order thinking, IWB, Literature, math, Mind mapping, multimedia, nature, plants, reading, science, video, web 2.0, YouTube on October 20, 2013 by caitbajgier. This particular week we read the story, Todd’s Box, about a boy who takes a walk with his mother. 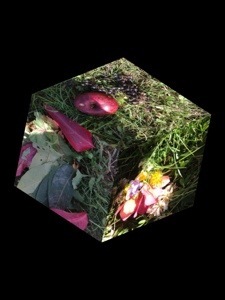 Along the way he collects artifacts from nature, and he saves them in a box. At the end of the story he surprises his mom with the box. In math we were still working on subtraction, which was the focus of our Jack and Rick Subtraction stories the previous week. Incorporating science was a logical choice based on the reading selection for the week. For this project I decided to have students go on a nature walk and take digital photos of what they found. Then students created their own virtual box to showcase the artifacts they found on their nature walk. This entry was posted in Technology Integration and tagged authentic learning, iPad, Literature, nature, photography, rational thinking, science, web 2.0 on October 15, 2013 by caitbajgier.